Binn Éadair (The Ben/Hill of Howth) is one of the most frequently cited hills in Irish literature. It is the subject of two poems in the Metrical Dindshenchas and in Acallam na Senórach it is the scene of a great hunt, during which Artúir (a character based on King Arthur) makes off to Britain with Fionn Mac Cumhail's three best hunting dogs. The Fianna pursue Artúir, kill all his men and bring him back captive to the Hill of Howth. According to legend, Binn Éadair is also the burial site of Oscar. The hill is also the scene of several romantic reminiscences in Joyce's Ulysees. 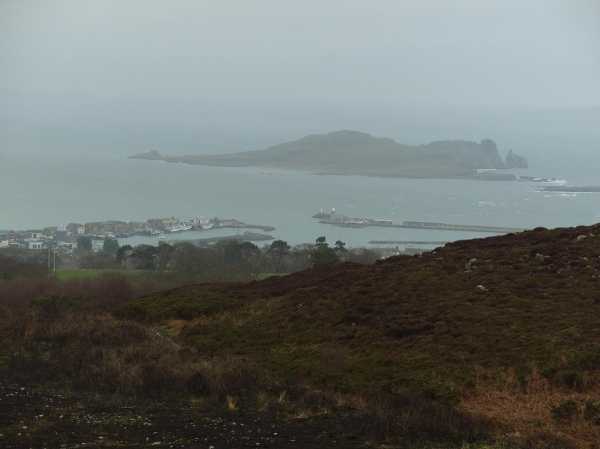 Ben of Howth is the third highest hill in the East Coast area and the 1437th highest in Ireland. Ben of Howth is the most southerly summit and also the second most easterly in the East Coast area. Picture from group : View north from Ben of Howth. Picture: View north from Ben of Howth.